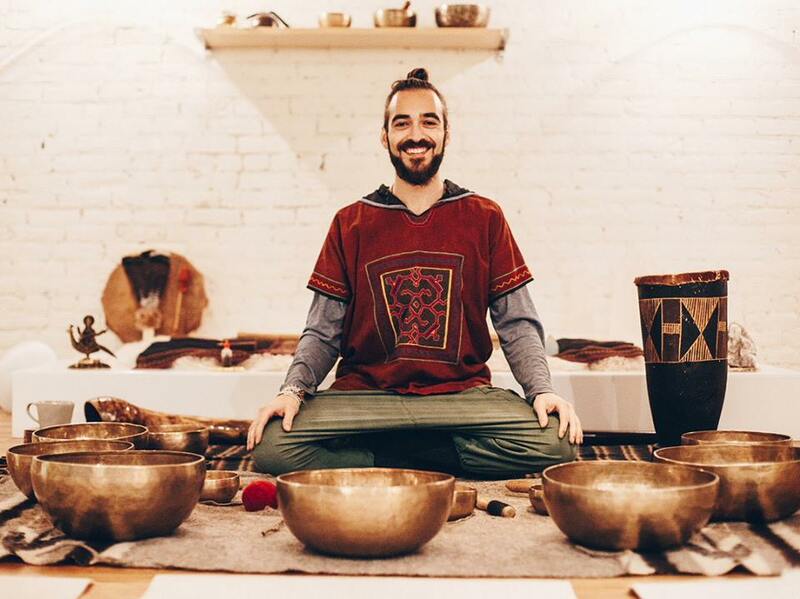 Join Ahmad and his beautiful instruments accompanied with Yin Yoga with Julie to create a perfect end to your week and settle you into rest for the upcoming season shift. Cost- Donation Based. $15 suggested donation. Ahmad is a yoga practitioner with a music background. He works with a variety of instruments and sound tools like medal singing bowls, flutes, and didgeridoo to practice his modality offering call Acusonic Therapy. Acusonic Therapy uses sound with intent to entrain the recipients into a state of relaxation and rejuvenation where profound transformation can occur. Julie began her teaching career in 2008 while living in Atenas, Costa Rica where her clients were retirees seeking increased strength, flexibility and balance through simple Hatha Yoga. She enjoys working with students who have issues with weight, long term injuries, past surgeries, aging and any other challenges that may discourage them from having a yoga practice. Her philosophy is that anyone who can breathe can do yoga. Julie’s classes focus on listening to the wisdom of the body, working through each body part to find limitations and abilities before putting it all together into simple Hatha poses. She uses a sense of humor to encourage her students to lovingly accept where they are in their bodies while letting go of judgment and criticism of themselves in their practice and their lives. She received her 200-hour Alliance Yoga certification in Longmont, Colorado at Full Circle Yoga in 2013. Her passionate belief that yoga can positively change our mental outlook and physical health regardless of age, weight, and athleticism encourages students of all abilities to embrace a lifetime commitment to yoga.